Sustainability at the GreenLeaf Inn knows no bounds. If a picture is worth a thousand words, then the picture below constitute one of our briefest Anderson-Ashton blog postings to date. 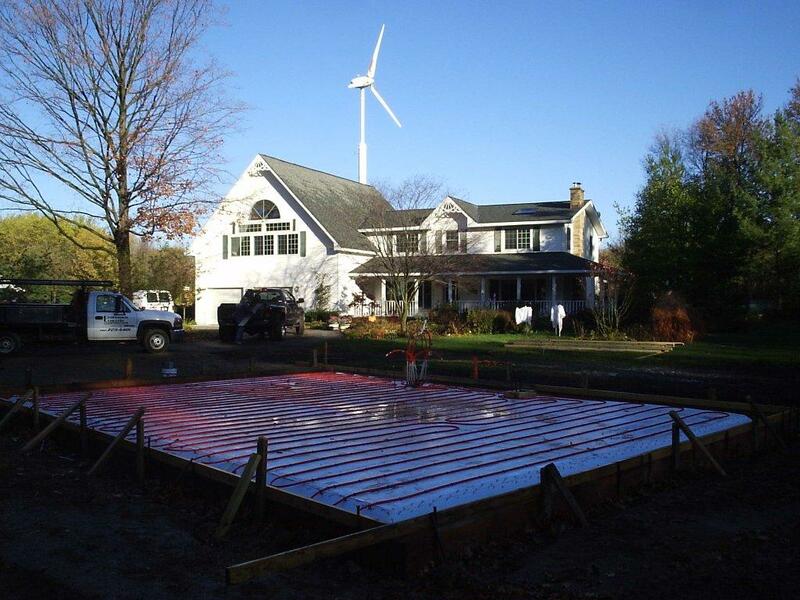 This photo shows the hydronic heating coils that were incorporated into the floor slab system of the relocated Studio structure on the GreenLeaf Inn property. This picture is a tremendous illustration of the level to which the GreenLeaf Inn will be taken too.